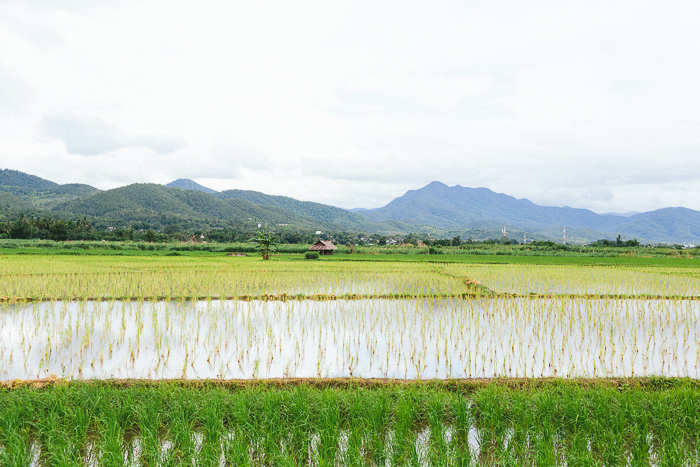 We spent one week driving the Mae Hong Son Loop while we were in Northern Thailand. 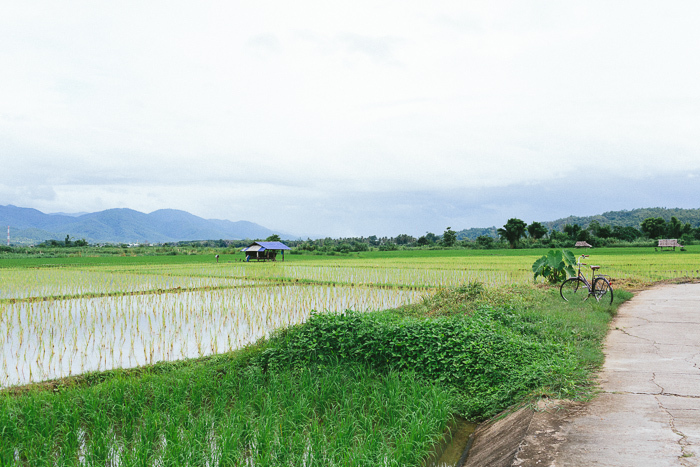 We had quite a bit of rain, but with the rain came the planting of the rice paddies. Wahoo! We took a detour the first day and headed up the Doi Inthanon (the tallest mountain in Thailand). Although the mountain peak itself was a bit underwhelming, the rolling hills south of Doi Inthanon were stunning! I think my favorite memory from this trip was riding bikes around the cute town of Mae Sariang, where most of my favorite pictures from the slew above were taken. Although the views of the rice paddies were certainly memorable, I do not necessarily recommend this road trip for anyone who is inclinded to car sickness because the roads are mega windy! Anyway, we stayed in the following towns along the way, which allowed us to move ourselves at a reasonable pace: Chiang Mai > Mae Chaem > Mae Sariang > Mae Hong Son > Pai > Mae Taeng > Chiang Mai. We had our car for six nights, but you could easily cut things down by spending only one night in Pai (it is very touristic anyway) and skipping Mae Taeng.